The theory of evolution by means of natural selection is the work that Darwin is most famous for. This theory explains how species change and evolve over time. As a young man, Darwin was intrigued by the natural world, and he spent a large proportion of his time studying it. In 1831 he was commissioned to take part in a voyage on a ship called the HMS Beagle. The Beagle sailed to many remote locations. During this voyage, Darwin studied the geology and wildlife of all of the locations that they explored. He was meticulous in collecting samples of wildlife and eventually returned with more than he could possibly study on his own. One location is particularly famous: the Galapagos Islands, a chain of remote islands far off the west coast of South America. Darwin noticed that the environment on each island was slightly different. He also noticed that there were small differences between the different species of finches that he saw on each island. The finches, although similar, all seemed to be adapted to survive in the specific conditions in which they were found. Darwin noticed that when farmers bred their livestock, they selected those animals that had the most desirable features. He wondered if nature did the same. Did those organisms with the most desirable features survive longer to pass on their features? Darwin worked tirelessly for many years on this theory, but he was hesitant to publish it knowing full well that the ideas were incredibly controversial. To suggest that life evolved over time, rather than being constant and unchanging, was considered an affront to the church. 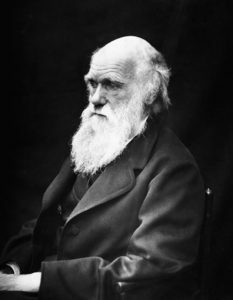 Many, if not all, of Darwin’s ideas, have been since proven to be correct with evidence coming from sources as diverse as the fossil record all the way through to DNA (which Darwin could not have conceived of at that time). Darwin’s ideas still underpin much of modern biology, and his theory is still being refined and improved to this day.